Federal Court rules in Favor of Insured in Commercial Liability Coverage Dispute - Robert N. Pelier, P.A. U.S. District Court rules against commercial Insurance Carrier Landmark American Insurance Company. Black Night Protection, Inc. is a security firm which has provided on premise security for condo and homeowners associations in the South Florida area for decades. When Black Night was sued for negligence arising out of an incident on one of the communities they service, the insurance carrier immediately denied the claim and refused to honor its obligations under the insurance policy. This obligation included a duty to defend their insured. Headquartered in Atlanta, Landmark, one of many in the RSIU family of companies, claimed that the coverage was excluded. The Law Office of Robert N. Pelier, P.A. was retained to represent Black Night to sue the insurance company for their refusal to honor the insurance agreement. Robert N. Pelier filed the declaratory judgment action seeking an Order to compel the insurance company to make good on its promise. The Court in a 10 page ruling sided with Black Night and found that the company had breached the insuring agreement in failing and refusing to provide a defense for Black Night. Pelier stated, “I am pleased that the Court agreed with our position. We have always maintained that the coverage extension purchased by our client afforded coverage based on the allegations in the underlying lawsuit. I am delighted that the Court determined that the insured should receive the coverage it paid for.” A copy of the Court’s opinion is attached. 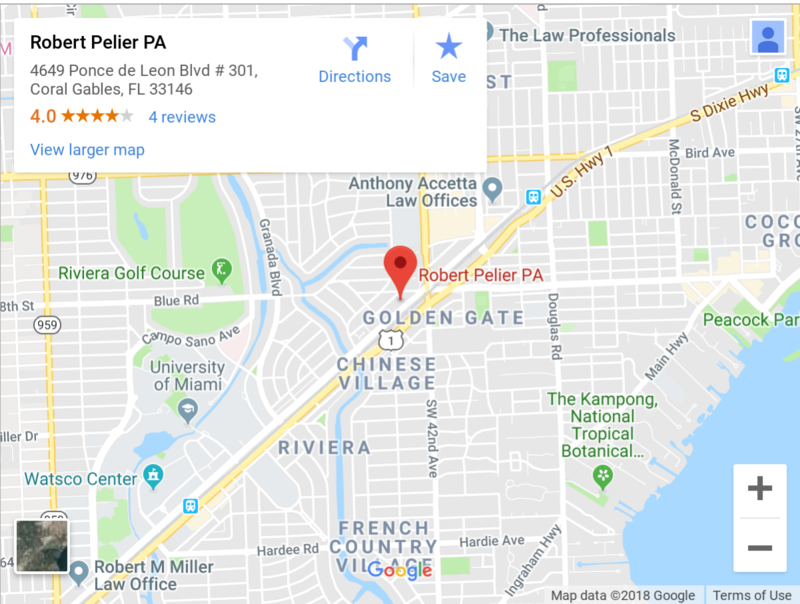 The Law Office of Robert N. Pelier, P.A. is available for consultation in matters of coverage analysis, policy interpretation and review and handles insurance disputes including residential, commercial claims, coverage disputes and health related claims throughout the State of Florida and has served as co counsel in such matters in other states.